We got off the cruise at around 5.45 pm, and were met at the port by my dad’s regular taxi driver/friend. It was a quick 30 min ride back to Taipei. Nothing much to report today, but we did have a really good dinner. We walked to the back alley of our hotel, and went to this place called Du Hsiao Yueh/Slack Season Noodles/度小月, which specializes in Tainanese street food. 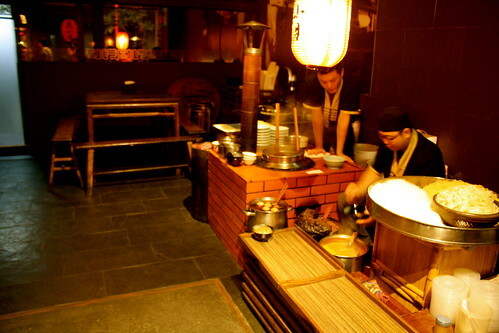 They even have a little noodle stand in the lobby area of the restaurant, and is pretty cheap. 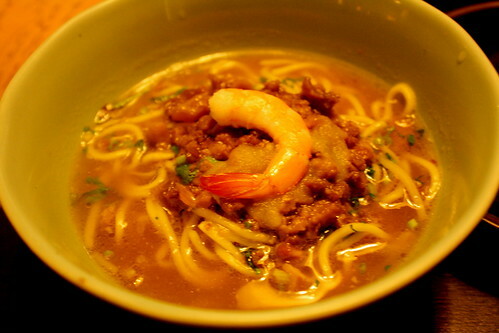 A basic noodle costs about 2 sgd. We all had a noodle each. 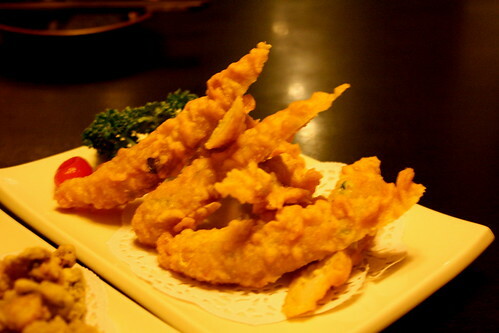 We also ordered four other dishes – fried oysters, fried cuttlefish, fried shrimp cakes, and a cooked salad with shrimps. This cost us a total of 40 sgd for three people. They were all very tasty – I highly recommend this. I also popped over to the froyo place beside Slack Season Noodles for some dessert.